This summer, we're taking open-air screenings to the next level with our doggo fam joining us! 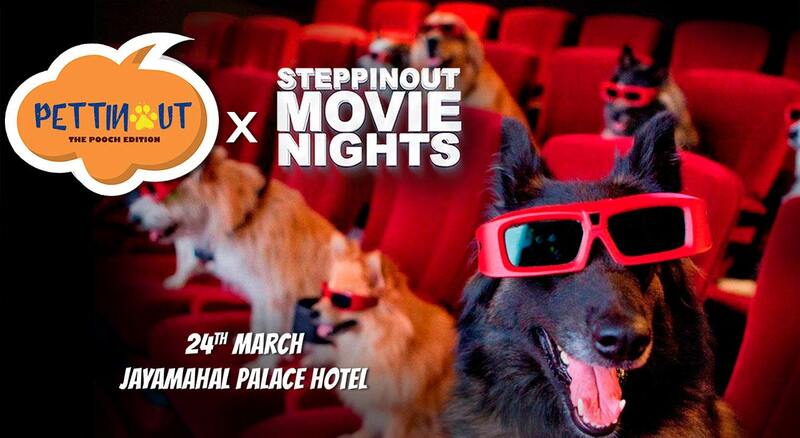 Say Hello to the SteppinOut Movie Nights X PettinOut on March 24th, Jaymahal Palace. Bring in your pet fam and make it a 'Doggy Date' with couches where pups can relax and even a platter of treats to nibble on so that they can get the full 'VID' treatment. Come be a part of this Open Air Movie Screening experience with your loved ones. This is a very limited capacity event. So book your tickets, now.